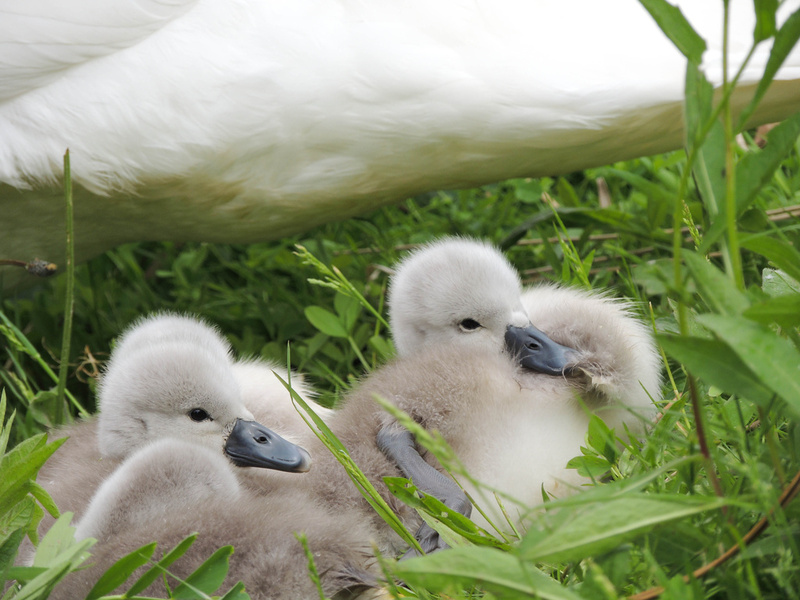 Dad swan was looking after the cygnets as mum swan was still on the nest as one egg is still to hatch. OOOHHH..I can't stand it. THey are soo cute! Great capture. this is wonderful, they are cute and you captured it so well. Lucky you can get so close. Lovely shot. Beautiful! These is so sharp! Wonderful capture, so cute and fluffy!